Windows 8 introduced a nice component that flips through images using two buttons to the left and right of the control. You can see it the Windows 8 Store when looking at screenshots presented by an app as seen below. We start off in Visual Studio as always. This time we pick the ASP.NET MVC4 project’s Basic template. Next we add a Home folder under Views and add an Index.cshtml file to it. 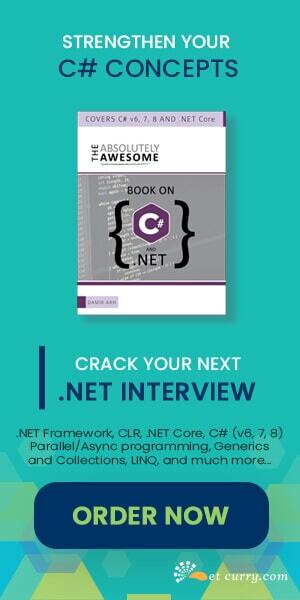 In one of Suprotim’s previous articles Hosting your ASP.NET Web API Services without IIS, he had obtained a Bootstrap bundle using a service called LayoutIt. I’ll use the same bundle here today. This gives the familiar black colored Twitter BootStrap menu bar on top with a Title that you can set in the Index.cshtml. Our approach will be to get the list of images, and download only the image that is currently visible. This ensures there is a minimal delay in first load. Once all the images have been loaded one at a time, the browser uses the local cache automatically. 1. On load save all the images URLs in an array in the ViewModel. 2. Maintain a Current Image index to keep track of the index in the above array pointing to the image that is being displayed currently. allImages – Observable array holding the list of image URLs. currentImageIndex – Observable field pointing to the index of the current image being displayed from the allImages array. auto – Observable field indicating if the Flip View should flip forward automatically. start – A KO Computed function that is triggered when we Read or Write to the above auto field. selectedImage – A KO Computer field that return the actual URL of the current image. This is triggered everytime the currentImageIndex changes. next – Click event handler for the next button. It moves the currentImageIndex forward by 1. If it is at the last image, resets index to 0 thus loops through all images. Also invoked by timer if auto property is set to true. 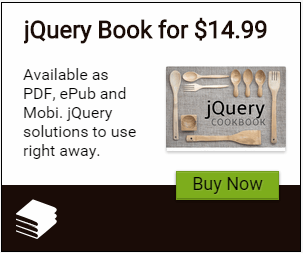 For effect, the new image is faded in using the jQuery FadeIn function. previous – Click event handler to move the currentImageIndex back by 1. If it is at the first image, resets index to the last image thus loops through all images in the reverse direction. The Index page is rather simple. - Next we have a div with the class ‘tablet-border’. This is basically a thick border giving the image container a feel as if it’s a Tablet. - The container div contains two buttons ‘Prev’ and ‘Next’ that are positioned and styles appropriately. Their click events are bound to the view model functions as described earlier. - Next we have the image that’s src attribute is bound to the selectedImage property of the ViewModel. It is positioned and sized by the tablet-screen class. - Finally we have a mysterious set of divs that we’ll see in action shortly. - We add a Get method that returns a list of images that I’ve added to a folder called Images at the root of the solution. We simply return an array of strings with the URL of the images. These could very well be absolution URLs. Now we are all set to run the application. Pretty neat! Now do you see the implication of the unexplained/mystery div we saw in the markup? Yes, it magically became a Windows Logo (check bottom of the screenshot), giving our Image viewer the look of a nice tablet. Click on Prev or Next button to scroll through the image list. Check the Slide Show to checkbox for the images to scroll forward automatically. Note when you reach the last image, you circle back to the first one. Well the Windows 8 Logo is created in CSS and the div is placed appropriately. The Original CSS was created by Vasiliy Zubach. I adapted it to the small size and different color. If you are interested, you can either see the original or refer to the windows-8-logo.css in the bootstrap\css folder. Step 1: Start application and bring up IE10 Developer tools. Navigate to the Network tab and hit Ctrl+R to clear the browser cache. Now Select ‘Start Capturing’ and Refresh the Browser. As you can see above, the page is loaded for the first time and at the very bottom only one image is loaded. Step 2: Keep capturing and click on Slide Show. Notice how each image is downloaded the first time (Result columns Shows 200). However, once all the images have been downloaded, the browser no longer requests the server (Result column shows 304 = No Change, highlighted in blue below) and no new data is downloaded. Thus we have achieved our goal of minimizing simultaneous downloads while creating a pleasant looking Image Viewer that scrolls through a collection of images. We built a neat looking Image Viewer that kind of mimics the FlipView control in Windows 8. It has a manual and a slideshow mode that we can toggle between. It is efficient as in it downloaded only one image at a time instead of waiting for the entire set to download and then arrange them using JS and CSS. We also pulled the data from a Web API service albeit a service that returns a static array. Would have given a test page with a viewer functionality.. Great post!